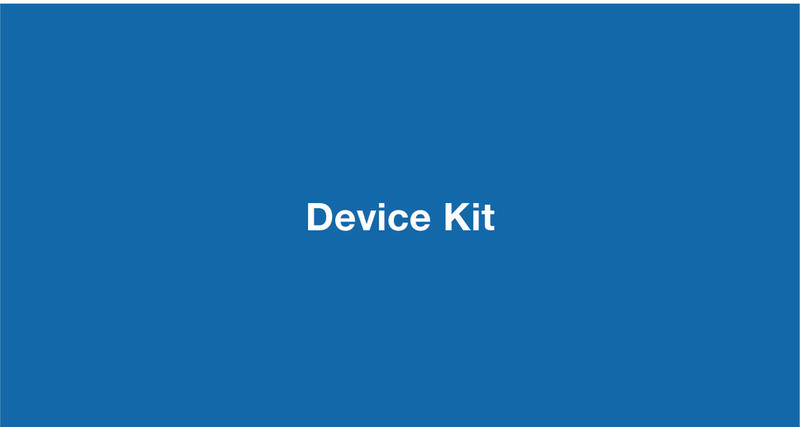 Prototyping a program for Medtronic to reach Ear Health to the underserved at an affordable cost. 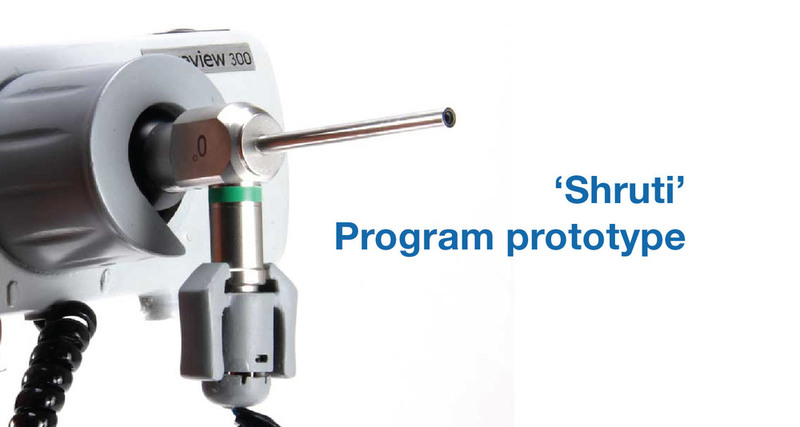 Medtronic's Shruti Program’s focus is to create and manage a self sustaining ecosystem of awareness, diagnosis, treatment and rehabilitation of the under-served patients susceptible to chronic ear diseases and preventable hearing loss in developing countries. 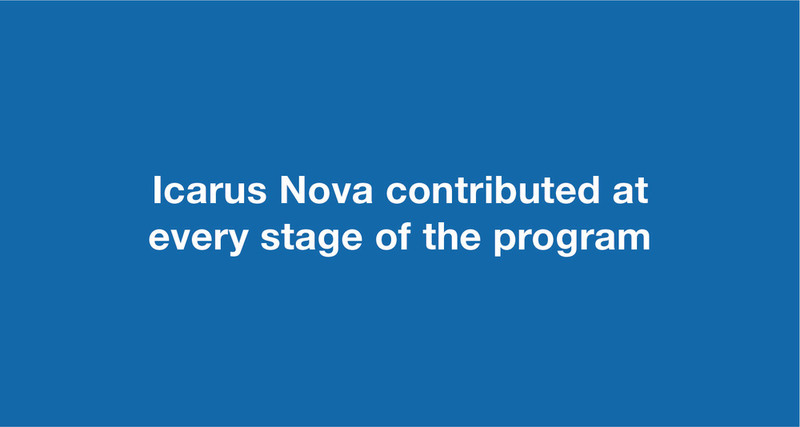 As an innovation partner for the program, IcarusNova contributed to every aspect of program prototype. India has about 60 million people suffering from hearing loss. Of the many causes for hearing impairment middle ear infection is one of the important but preventable causes. On the ground those who suffer from the infection, children and adults do not seek medical treatment and often cannot access relevant medical care. For Medtronic which wished to reach this underserved population the problem was to create a programme which could complete this cycle of care at an affordable cost. Medtronic conceived a partnership between Shroff eye hospital -Delhi and IcarusNova and ClickMedix to build a minimum viable program at blinding speed. The program bought together screening, tele-medicine, consultation by specialist and feedback to patients to encourage them to seek the next level of medical care. At the heart of the idea were health workers - trained adequately - who would screen people with suspected ear infections in their home and through ear camps. 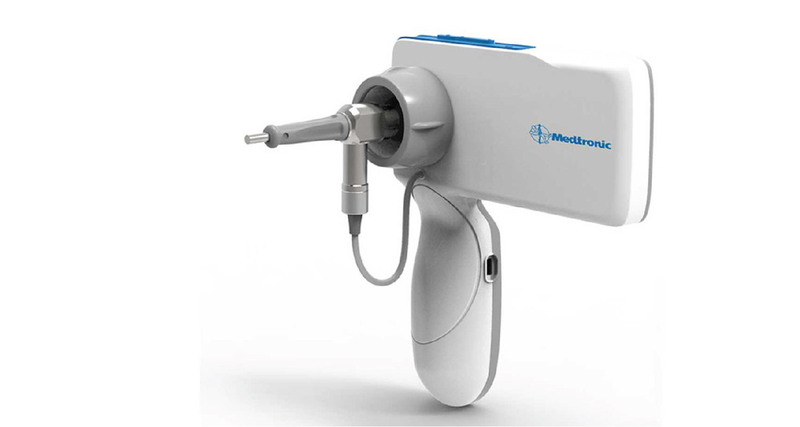 The screening was achieved via the ENTraview, a device conceived by IcarusNova which integrated an endoscope with a mobile tele-medicine platform. The images along with patient data would be uploaded to servers where surgeons form Shroff would evaluate and recommend the next line of care. IcarusNova create more than 40 Concept in Use prototypes of the Entraview. These devices were first used to train health workers and subsequently used by them in home to home and ear camps. The use of these prototypes in real life conditions over a period of a year, both helped to prove the device as well as to prototype and run the program in its entirety. 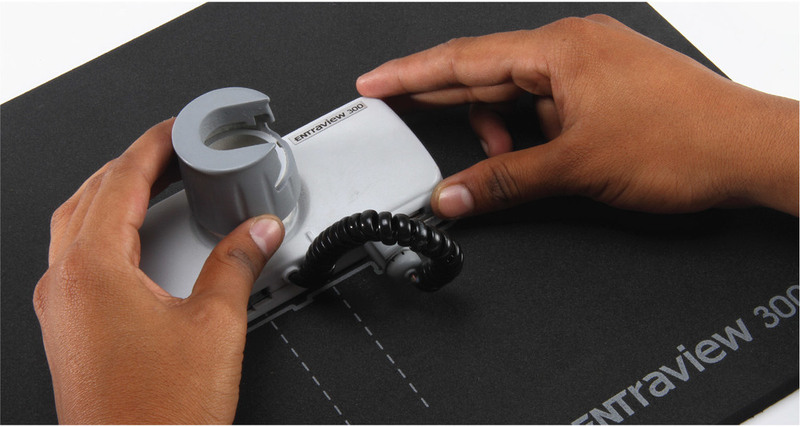 The information and insight delivered by these Concept in Use prototypes helped to create the performance criteria for the next stage of Product Development. More than 100,000 images were generated through this prototype deployment. adding features, testing future functionality which would add to the viability of the program etc. 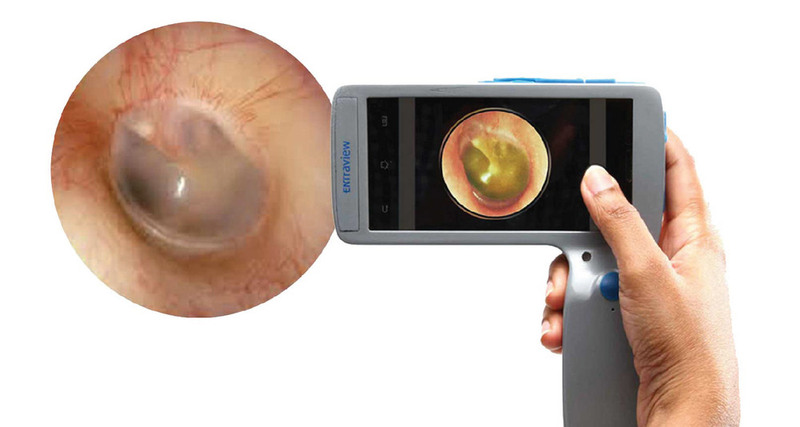 The integration of the endoscope with a mobile platform required the creation of a custom image capture software which could be integrated into the telemedicine platform, be intuitive to use and would create a calibration layer which would allow a close matching between off the shelf endoscopes and off the shelf mobile phones. The program evolved into two types of screenings : Screening camps and door to door screening. The tasks performed by the health worker pre and post screening needed to be supported. Other items like the ear wax softening liquid, swabs etc needed to be carried. 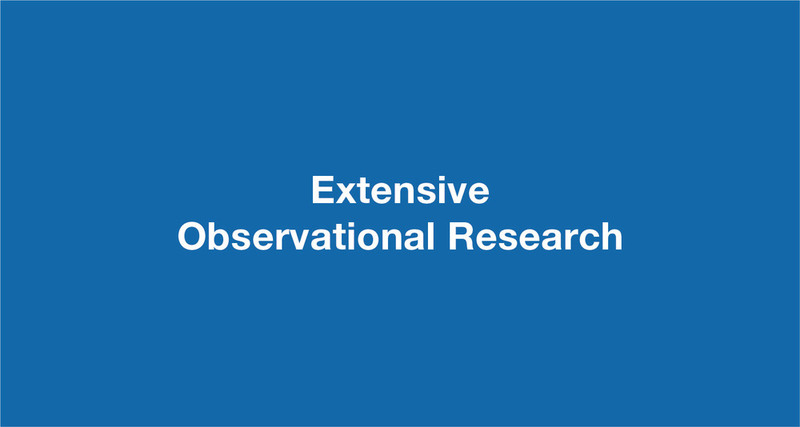 Our research teams observation on usage in various contexts implied the need for a robust packaging kit which would hold everything needed in a way in which the health worker would be able to use it nimbly without damage. 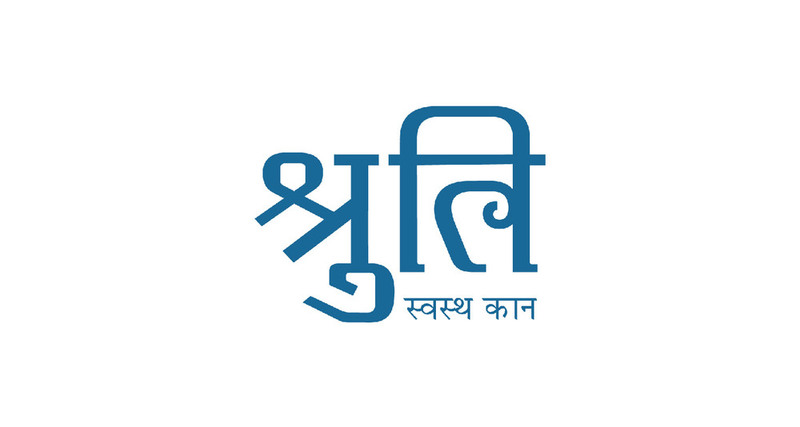 From naming the program – Shruti – to creating its visual identity, awareness materials and IFU, IcarusNova contributed to all the communication elements which were needed to get the program visibility, create awareness in the community and provide support for health workers in the usage of equipment and troubleshooting.